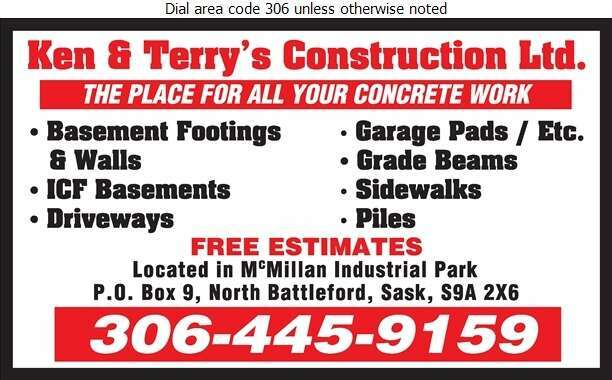 Ken & Terry's Construction Ltd. is North Battleford's premier place for all your concrete work. We specialize in foundation walls, driveways, grade beams, sidewalks, pads and more! Our concrete professionals offer lasting quality concrete. 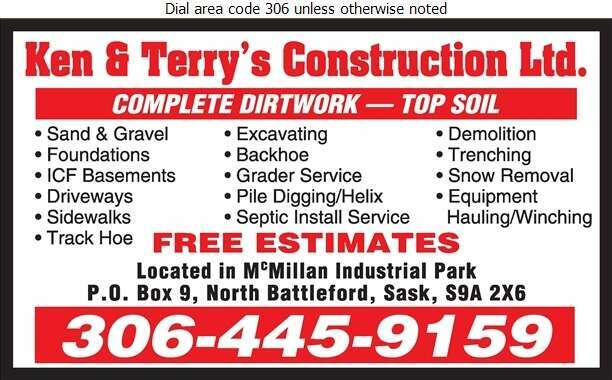 We also offer complete dirt and topsoil work. Whether you're in need of sand, gravel, excavating, grader service, pile digging, winching, demolition, hauling or more, we can help. Call the professionals today for your free estimate!